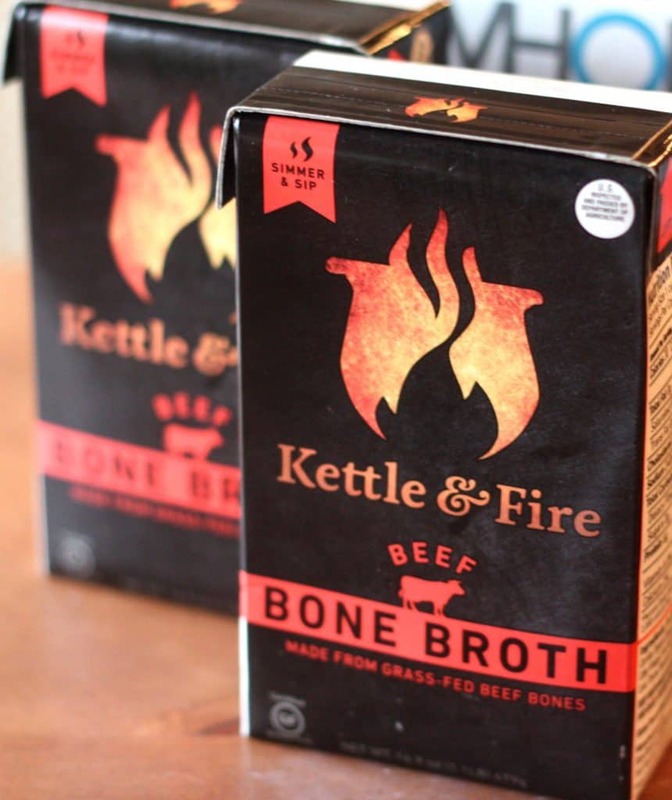 Nothing cures a cold better than bone broth, and with winter right around the corner, this is the best time to share this beef bone broth recipe. It’s no secret that I LOVE bone broth and now that I’m in an RV, I can’t exactly cook it all day on the stove as I have in previous years. However, there is a way to do this in small spaces, and there is another alternative to making it yourself. But first. Why bone broth?? The savory flavor of a steaming cup of bone broth does the trick every time. Not only does it tastes great, but bone broth also contains many amino acids and antioxidants that boost your immune system and digestive system. I have used bone broth to fight off the flu, sinus infections, strep throat, etc. When I combine this with classic chicken soup ingredients, I notice immediate relief in my symptoms. Since this recipe takes 12-24 hours to make, if you find yourself short on time, there’s many premade brands you can try. Kettle & Fire is favorite brand because their flavor is just superior to other brands I’ve tried. I think it’s because they use high-quality organic ingredients and grass-fed beef bones. Think about that for a minute. If your bones are from unhealthy animals, those bones are not going to provide the best nutrition. Plus, they’re shelf stable and non-frozen so I can always have some ready on my pantry shelf. You can buy their product online, and if you use the promo code “KATRINA15”, you’ll get 15% off your first order. Put vegetables, bones, bay leaf and cider vinegar in a large crock pot or soup pot. Cover completely with water and bring to a high simmer. Reduce the heat to low and let simmer for 12-24 hours. Add water as needed to keep all the ingredients submerged. Discard the bones, vegetables and bay leaf and strain through a cheesecloth. Cool the pot to room temperature. To serve, skim the condensed fat off the top of the broth and heat to the desired temperature. Previous Post: « Well Fed Weeknights Coming Soon!